Even as people from the media and general public mourned her loss, there were many who justified and celebrated her death. 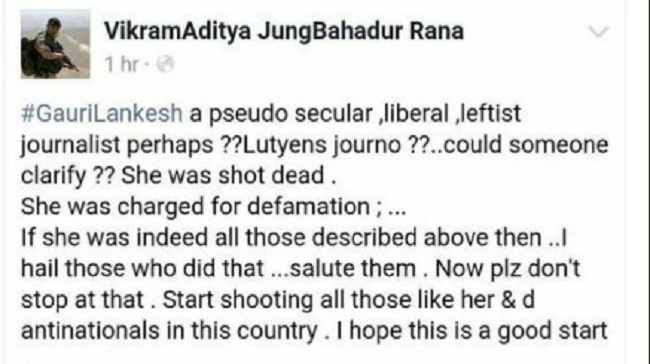 Journalist Gauri Lankesh's murder and the reactions celebrating or justifying the horrific crime go to show the rot in the country's democratic fabric today. On Tuesday evening, as Bengalureans were wrapping up for the day, news emerged that Gauri, a vocal critic of the right wing, had been shot dead in cold blood outside her residence in the city. 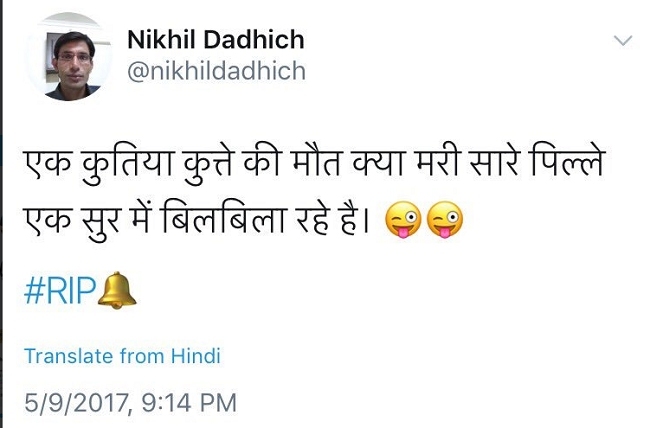 Shortly after, even as her family, friends and the media fraternity were reeling from the shock of her death, Twitter user Nikhil Dadhich put out this tweet. Roughly translated, it says the journalist died a dog's death and all the sympathisers (referred to as 'puppies' in the tweet) are mewling. According to his Twitter bio, Nikhil is a "businessman", "Hindu Nationalist" and feels "Honored To Be Followed By PM Sh. @narendramodi Ji". Nikhil has now deleted his extremely deplorable tweet, perhaps following the criticism, but a glance through social media comments shows that his toxic mentality is shared by many. 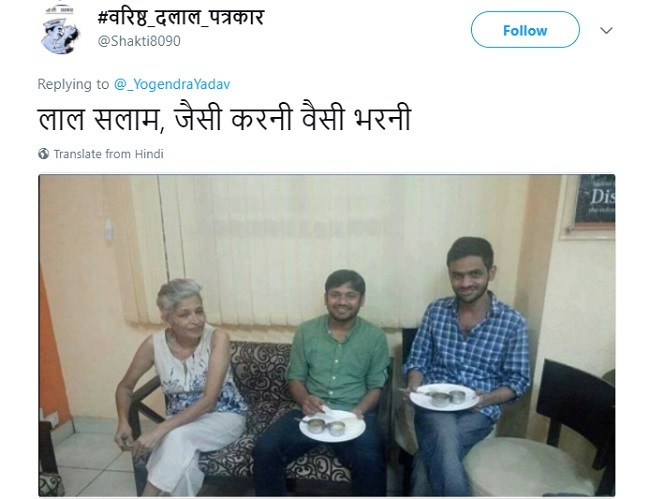 There was also a series of tweets made by Jagrati Shukla, a journalist who, according to her bio, has previously worked with ZEE Media and Network18, and is a "nationalist". While the police are yet to nab the killers and establish the motive, the similarity between Gauri's murder and those of rationalists Govind Pansare, Narendra Dabholkar and MM Kalburgi has not escaped scrutiny. Such comments coming from someone who also works in the same industry as Gauri has shocked several people mourning her death.